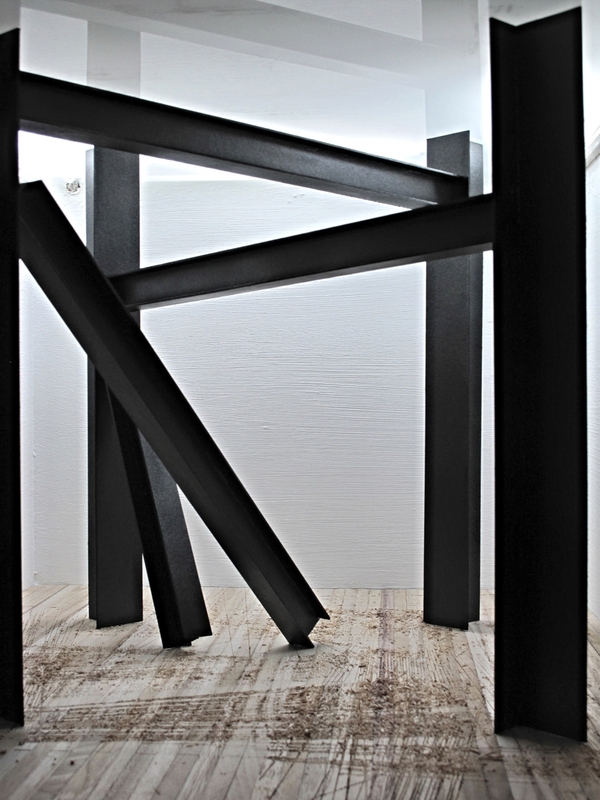 Made for installation at FOXRIVER Gallery, Singapore, the work spatially observes an aftermath. When seen at a temporal distance from the event, the reflexive marks made during the crisis - gestures that were violent, non-critical - now suggest a deliberate pattern; they actually start reading like a legible plan. Remaining a mystery are the supports. Their quiet presence, marking out a sheltered time-space, is viscerally at odds with the memories of the traumatised. Nonetheless their visibility and materiality, from this side of time, comfort.